This volume seeks to provide a critical analysis of pragmatic themes within the phenomenological tradition. 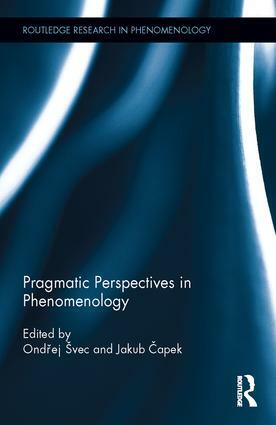 Although the volume is overwhelmingly geared towards presenting critiques of some of the most authoritative pragmatic readings of Martin Heidegger – readings by Hubert Dreyfus, John Haugeland, Mark Okrent and Richard Rorty – a handful of the fourteen chapters expand the discussion of the pragmatic dimension of the history of phenomenology by engaging with the work of Edmund Husserl, Maurice Merleau-Ponty, Max Scheler and Jan Patočka. Although the contributors do well to explain their ideas, useful appropriation of the volume will require a working knowledge of the developments in twentieth-century pragmatism and phenomenology, their basic features as philosophical enterprises and, most importantly, the central tenets of Heidegger (in particular), Merleau-Ponty and Husserl. I will now outline what I see to be the primary claims of some of the collected papers (unfortunately, there are too many to be discussed with the level of detail required), linking those claims to the aims of the volume as a whole and providing some modest comments of my own. According to pragmatists, ‘the social dimension of human existence’ is prior to an individualised conception and manifestation of agency. 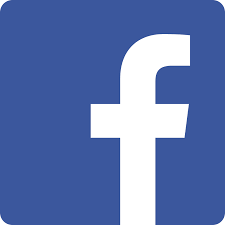 Judgments that concern normative statuses, fact-stating talk and objectivity-claims are to be understood in, and gain validity from, the realm of giving and asking for reasons. The revival of pragmatism during the latter half of the twentieth century and a renewed focus on exploring the nature and origins of normativity in other areas of philosophy has coincided with an increasing body of literature dedicated to exploring some of these pragmatic themes in various canonical texts in the history of Western philosophy, particularly those of Kant, Hegel, Husserl, Heidegger and Merleau-Ponty. That said, the majority of today’s most prominent pragmatists draw inspiration from their immediate predecessors. In terms of Anglo-American pragmatism, for example, references are almost always made to Ludwig Wittgenstein, Wilfrid Sellars (who, in turn, engaged extensively with the work of Kant), W. V. O. Quine, Donald Davidson, Richard Rorty and Hilary Putnam. Indeed, when pragmatists engage more broadly with the history of philosophy (as is the case with Robert Brandom, for example), the focus tends to be on the work of Kant and Hegel. Consequently, in the context of twentieth-century pragmatism, Rorty and Hubert Dreyfus were peculiarities in the sense that they were two of the first self-professed pragmatists (in English-speaking academic circles) to explore the pragmatic dimension of phenomenological traditions of Western philosophy. Through their correspondence, the pragmatic interpretation of the history of phenomenology, and of Heidegger in particular, began in earnest. It is not altogether surprising, therefore, that Rorty and Dreyfus’ respective interpretations are, perhaps, the paradigmatic pragmatist readings of Heidegger and a driving force behind pragmatic appropriations of other well-known phenomenologists, specifically, Husserl and Merleau-Ponty. In terms of Heidegger exegesis, not only have they inspired equally famous readings by Haugeland and Okrent, the interpretations of Rorty and Dreyfus, as this volume testifies, continue to demand critical engagement from Heidegger scholars. It is apt, therefore, that the book begins with an essay by Okrent – an implicit focal point for the majority of the discussions and criticisms that follow in the other chapters. Along with Okrent’s introduction to some of the most important features of a normalised pragmatic reading of Heidegger, part one of the volume is made up of chapters dedicated to elaborating the pragmatic dimension of the history of phenomenology. Part two critically engages with extant pragmatic readings of the phenomenological tradition and addresses some of the issues that emerge through pragmatic engagements with texts by non-canonical authors such as Scheler and Patočka. The final section contains four contributions that attempt to advance the debates in the history of phenomenology through new perspectives. After the editors’ introduction, Okrent begins by outlining two features of normative pragmatism – a position he attributes to Heidegger and one that is also affirmed by certain figures in the current Anglo-American pragmatist movement, specifically, Robert Brandom. For Okrent, normative pragmatism is, firstly, committed to the idea that an object’s nonnormative, factual properties are ‘possible only if there is some respect in which it is appropriate to respond to certain situations or to certain entities in certain ways’ (p. 23). Secondly, après Wittgenstein, normative pragmatism is committed to the claim that it is correct to respond to certain situations or to certain entities in certain ways primarily due to ‘the norms implicit in behaviour rather than with following explicit rules’ (ibid.). 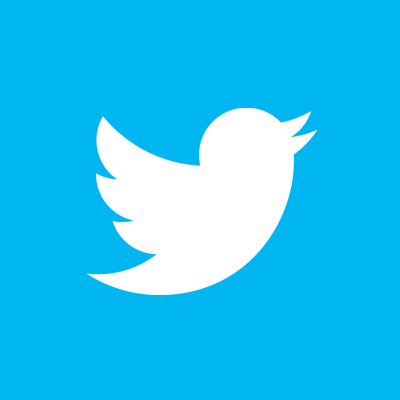 To speak about appropriate responses to objects, whereby appropriateness is measured according to the norms of social practices, is to think of objects as tools or equipment. According to pragmatist readings of Heidegger, tools are not primarily conceived in terms of their hermetically-sealed physical make-up in space-time. Rather, tools are understood, initially, in terms of what they are used for – the practical contexts and instrumental ends that will be fulfilled through their use. Furthermore, whether tools are used ‘correctly’ comes down to whether they are appropriated according to the norms of tool-use derived from social practices. The key point is that both Okrent and Heidegger view linguistic phenomena as tools. In accordance with the two theses attributed to normative pragmatism, Okrent states that ‘to grasp an entity as merely present, then, an agent must grasp it as essentially a possible object of an assertion. But to grasp something as an object of an assertion is to use the appropriate group of assertions as they are to be used within one’s community’ (p. 26). It follows that an object’s nonnormative properties are ‘simply invisible to an agent if she can’t use assertions to make claims about that entity’ (ibid.). Okrent’s chapter is a response to criticisms that Brandom has levelled against Dreyfus, Haugeland and Okrent and their respective interpretations of Heidegger. In laying out the central tenets of normative pragmatism, Okrent highlights the similarities between Brandom’s reading of Heidegger and his own. However, disagreements emerge over their respective conceptions of intentionality. According to Brandom, Okrent, Dreyfus and Haugeland adopt a ‘layer-cake’ model, according to which our meaningful, norm-governed, practical responses to certain objects in certain ways is, in a sense, pre-predicative and nonconceptual and, therefore, distinct from (but also the basis of) the propositional articulations we make concerning such objects and our engagements with their nonnormative properties. In other words, the view that Okrent supports, and that Brandom believes is based on a misinterpretation of Heidegger, claims that ‘there are two layers to Dasein’s intentionality, the nonlinguistic skilful coping involved in the utilisation of equipment as tools that are essential to Dasein as Dasein and the linguistic, assertoric intentionality that intends substances as substances and is not essential for Dasein as Dasein’ (p. 29). Okrent goes on to defend the layer-cake model of intentionality on the basis that, for Heidegger, not all interpretations of entities as what they are involves assertion. In terms of defending his interpretation of Heidegger as a layer-cake theorist in the face of Brandom’s reading, Okrent is convincing. That said, in terms of defending the layer-cake model of intentionality against Brandom’s claim that intentionality does not contain a nonconceptual component – that all experience can be understood in terms of the space of reasons – he is less successful. The other contributions in this volume do far better justice at demonstrating some of the problems with Okrent’s account than I can here. However, what I will say (paraphrasing the main issue in the Dreyfus-McDowell debates) is that although one can claim that propositions, assertions, sentences and theories are embodied, and even originate in our practical activities, that does not mean that our absorbed involvements that grasp the world as what it is are fundamentally and distinctly nonconceptual. Indeed, Brandom’s starting point is to conceive the world ‘as a collection of facts, not of things; there is nothing that exists outside of the realm of the conceptual’ (Brandom 2000: 357). On that basis, he has presented a whole system of normative pragmatics and inferential semantics to support his non-representationalist metaphysical project. Whether we agree with him or not, it follows that Brandom has the means to defend the view that even those interpretations, repairs and improvements of tools and equipment that seemingly operate outside of the bounds of general acceptability, and that Okrent takes to be nonlinguistic, are predicated upon a (at least implicitly) conceptual understanding of intentionality. In other words, our perceptions and skilful copings are permeated with the as-structure of interpretation that fundamentally understands seeing something as something in discursive terms (regardless of whether those concepts are made explicit in discursive practices). The theme of layer-cake interpretations of both pragmatism and intentionality and the question of the dependency of skilful coping on conceptual meaning are taken up again in Carl Sachs’ contribution. The starting point for Sachs is the debate between Dreyfus and John McDowell regarding the relationship between rationality and absorbed coping and the consequences of this relationship for understanding intelligibility and intentionality. Like Brandom and McDowell, Sachs recognises the problems inherent in the layer-cake model of nonconceptual skilful coping – a distinct kind of intelligibility with its own internal logic. He also acknowledges McDowell’s claim that layer-cake pragmatists make the mistake ‘in thinking both that rationality consists of detached reflection and that rationality is the enemy of absorbed coping’ (p. 96). Unlike Dreyfus, Okrent and Haugeland, both Brandom and McDowell argue that rationality should not be construed as detached contemplation. Furthermore, intentionality is fundamentally conceptual. However, as Sachs observes, the problem with claiming that conceptuality permeates all of our skilful copings is that intentionality tends to be treated as only ‘“thinly” embodied’ (p.94). Through the work of Joseph Rouse, and by confronting the question of how absorbed, embodied coping can fit within the space of giving and asking for reasons, Sachs provides a convincing and highly innovative critique not only of layer-cake interpretations of the phenomenological tradition, but of approaches to contemporary pragmatism that do not pay sufficient phenomenological attention to the embodied dimension of intelligibility. Undermining Dreyfus’ distinction between the ‘space of reasons’ and the ‘space of motivations’, Rouse follows McDowell (and Brandom) in, firstly, rejecting the view that rationality is found in detached contemplation and, secondly, claiming that discursive practices are embodied. Where Sachs sees McDowell as paying only lip service to an embodied conception of rationality, Rouse uses developments in evolutionary theory to naturalise the space of reasons and, by implication, our norm-governed engagements with the world. Having arrived at the claim that discursive practices are conceived as ‘highly modified and specialised forms of embodied coping’ (p. 96), Sachs builds on Rouse’s account by defending a distinction between sapient intentionality and sentient intentionality in order to demonstrate that ‘McDowell is (mostly) right about sapience and that Dreyfus is (mostly) right about sentience’ (p. 88). Whereas Okrent and Sachs’ respective contributions tackle the Dreyfusian tradition of Heidegger scholarship, Andreas Beinsteiner provides a critical assessment of Rorty’s engagement with the pragmatic dimension of Heidegger’s thought. The focus is on Rorty’s purely language-oriented interpretation of the ‘history of Being’. According to Beinsteiner, even though Rorty agrees with Heidegger’s claim that our vocabularies and practices are contingent, Rorty’s criticism of Heidegger’s ‘narrative of decline’, which is characterised by a lack of recognition regarding the contingent nature of both meaning and language, is problematic. For Beinsteiner, the issue Rorty has with the idea that contemporary Western society, when compared with previous epochs, is less able to grasp the contingency of language rests upon Rorty’s two conflicting versions of pragmatism – instrumental pragmatism and poetic pragmatism. According to Beinsteiner, when Rorty argues for social hope as opposed to decline, he has seemingly failed to acknowledge the contingency of his own language and has, as a result, fallen into the trap that instrumental and poetic pragmatism disclose in different ways. Ultimately, Rorty is trapped within his linguistic conception of intelligibility, one that, he believes his instrumental conception of language has some sovereignty over, when, in fact, according to Beinsteiner, our conception of meaningfulness not only precedes the purposes of our language, it grants Rorty’s language with the purpose of instrumentality in the first place. In the remainder of the chapter, and in the face of what he sees as Rorty’s linguistic treatment of meaningfulness, Beinsteiner offers a challenge to Rorty’s critique of the narrative of decline by demonstrating technology’s ability to guide our understanding of intelligibility. One of the problems with Beinsteiner’s critique is that Rorty is clearly aware of the dangers of becoming trapped in non-contingent conceptions of one’s language and understanding of meaningfulness. Rorty acknowledges that we can and, indeed, must aim for as much intersubjective agreement as possible by opening ourselves up to other cultures and their associated languages. As he explains, ‘alternative cultures are not to be thought of on the model of alternative geometries’; ‘alternative geometries are irreconcilable because they have axiomatic structures, and contradictory axioms. They are designed to be irreconcilable. Cultures are not so designed, and do not have axiomatic structures’ (Rorty 1991, 30). Consequently, by engaging with different cultures, it is at least a possibility that our language and conception of intelligibility can be destabilised and transcended. However, Heidegger claims that exposure to other cultures through media technology will fail to transform our conceptions of language and meaningfulness. As is evident from Beinsteiner’s contribution, Heidegger’s claim rests upon a one-sided interpretation of technology, one that is justified by criteria located in his own ‘final vocabulary’. This raises a problem, one that is emphasised when Beinsteiner makes claims regarding the pragmatic dimension of technology that coincide with Heidegger’s narrative of decline (even though Beinsteiner states that his point ‘is not to defend a supposed Heideggerian pessimism against Rorty’s optimism’ (p. 64)). A critic would likely argue that if Beinsteiner wishes to argue for the contingency of language and meaning and, thereby, avoid falling prey to the criticisms he levels at Rorty, he needs some criteria for judging the ‘primordiality due to new media and communication technologies’ (p. 64). Indeed, in order to avoid the charge that he is trapped within Heidegger’s vocabulary, such criteria would need to come from elsewhere. Unfortunately, a comprehensive and justified account of such criteria is noticeably absent in both the work of Heidegger and Beinsteiner’s contribution. Returning to the Dreyfusian tradition of Heidegger scholarship, Tucker McKinney’s contribution addresses a long-standing problem with layer-cake approaches to pragmatism; specifically, the issue of whether and how (what Okrent calls) ‘the nonlinguistic skilful coping involved in the utilisation of equipment as tools that are essential to Dasein as Dasein’ (p. 29) can be reconciled with self-conscious inquiry and the resulting ‘first-personal knowledge of one’s activity’ (p. 71). In the face of traditional approaches to philosophy of mind that interpret self-consciousness in terms of self-representing contemplation, which he acknowledges is a form of self-consciousness that Heidegger criticises, McKinney sees Heidegger as advancing a conception of positional self-awareness ‘as an action-guiding practical knowledge of what to do to sustain one’s being in the world, realised in our affective lives’ (ibid.). Whereas typical pragmatist readings of Heidegger claim that our nonconceptual and non-representational ability to skilfully and habitually cope with the world means that the capacity to represent (the world and our representations of the world) through concepts is both merely derivative and something we can identify or attribute to ourselves only after our unselfconscious practical activities, McKinney defends the view that, according to Heidegger, ‘our engagements with entities are permeated with a sense of our own agency, our own active and participatory engagement with objects’ (p. 78). In the face of problematic normalised and normalising pragmatic readings of Heidegger, many will welcome McKinney’s contribution. Whether it provides ‘a new ontology of self-possessed activity’ is questionable. Indeed, the approach shares some affinities with Hegel’s account of self-consciousness, Wittgenstein’s conception of private language and (more obviously) Habermas’ work on the relationship between self-awareness, affectivity and intersubjective communicative action. The basis for divergence stems from McKinney’s focus on ‘attunement’ [Befindlichkeit], which he translates as ‘findingess’ but can also be interpreted as ‘affectivity’ (Crowell 2013) and ‘state-of-mind’ (Braver 2014), and its concrete manifestation as ‘mood’ or, more literally, ‘tuning’ [Stimmung] (such as when the sound of a musical instrument changes depending on how it is tuned). At a very basic level, Heidegger describes moods as ‘fleeting experiences that “colour” one’s whole “psychical condition”’ (GA 2, p. 450). From a phenomenological point of view that McKinney adopts in his discussion of the concept of fear, moods influence how things are meaningfully encountered in the ways they are during my practical engagements. On the basis of moods, my activities express an understanding of my own agency (p. 83). Furthermore, and this is matter that McKinney does not discuss (but Heidegger does), it is an existential-ontological condition of my capacity to interpret the world that I, myself, must be affectively attuned. Without attunement, any act of skilful coping would not present itself to me as intelligible. 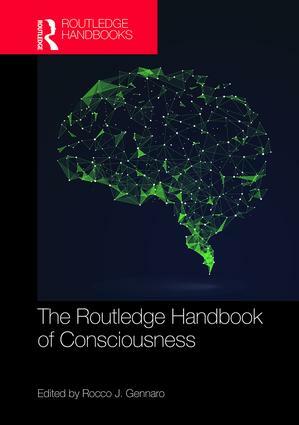 Consequently, in terms of a phenomenological reading of the concept of mood and ontological considerations of attunement, there is, as McKinney recognises, scope to innovatively extend non-Cartesian debates regarding the nature of self-consciousness. Turning to part two of volume, in which the contributors focus specifically on the phenomenological dimension of the work of Husserl, Heidegger, Merleau-Ponty, Scheler and Patočka, Jakub Čapek’s contribution exemplifies some of exegetical challenges that face traditional pragmatist readings of the phenomenological canon. On the basis of Merleau-Ponty’s concept of ‘perceptual faith’, which describes ‘how our involvement in the world precedes and sustains all perceptions, the true and the false’ (p. 141), Čapek argues that although Dreyfus and Charles Taylor’s pragmatic readings do not address ‘perceptual faith’ directly, their understanding of objects as mere correlates of our practical involvements, which Čapek sees as a consequence of the ‘primacy of the practical’ in pragmatism, generates a restricted interpretation of Merleau-Ponty’s account of perceptual experience. Čapek acknowledges that Merleau-Ponty does in fact claim that perception is an engaged, interested and skilful activity that allows us to cope with the world (in contrast with the interpretation of perception as an intermediary in a two-step, realist epistemological model, whereby passive receptions of something like sense data are synthesised as representations of external objects). However, that does not mean that the objects we perceive can be completely reduced to the meanings we accord them in our practical dealings. Even though Merleau-Ponty claims that our ontological commitments are embodied to the degree that an object is, as Čapek says, ‘a correlate of the body’, it is a feature of phenomenologically-oriented ontology that an object transcends ‘action-relevant predicates’ such that it is irreducible ‘to all that makes it a familiar part of our surroundings and of our activities’ (p. 152). In the sense that the ontology of things is dependent upon embodied perception to the degree that ‘in perception, we are directed to the things themselves, not through their appearances but to things themselves as they appear’ (p. 147), Čapek draws upon Merleau-Ponty’s conception of the transcendent dimension of ontology to argue that the latter’s account of ‘perceptual faith’ leaves room for an ‘interrogative, non-practical or disinterested’ dimension to perception (p. 143). The only downsides to Čapek’s chapter are that he provides neither an in-depth account of the meaning of ‘the interrogative mode’ of perception (minimal references are made to perception as ‘transcend[ing] things’ and affirming ‘more things than are grasped in it’ (p. 154)) nor a discussion of how specifically pragmatic interpretations of the history of phenomenology could be revised in light of such a phenomenologically-oriented conception of disinterested perception. This is indicative of the limitations of the volume in general. Specifically, because the majority of the contributions employ interpretations of texts in the history of phenomenology to either elaborate upon or challenge more paradigmatic readings, there is little room for exploring the implications of such scholarship for debates at the forefront of contemporary phenomenology and pragmatism. 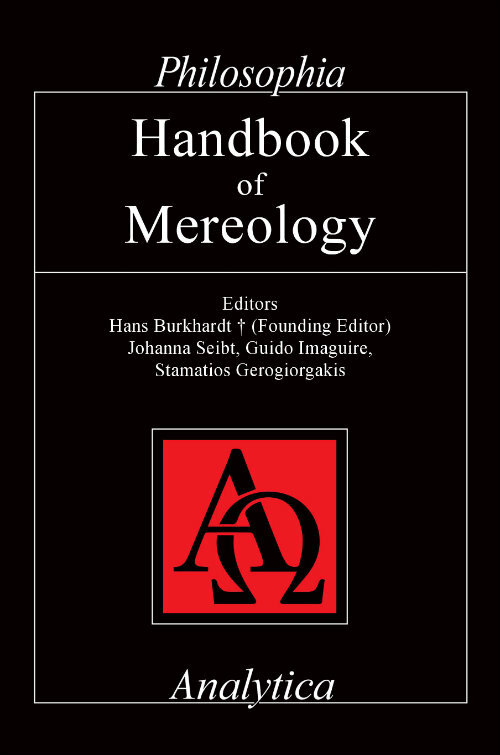 Bearing in mind the limitations imposed on the volume due to the purely hermeneutical approach taken by the majority of the authors, it should be said that James Mensch does offer interpretations of Aristotle, William James, Heidegger, Patočka, Husserl, Merleau-Ponty and Emmanuel Levinas in his contribution. But these readings are for illustrative purposes only, employed to elaborate upon the respective natures of pragmatic and theoretical attitudes in philosophy and their relationships to broader concepts of objective truth and freedom. For Mensch, what defines the pragmatic attitude is not only (as Čapek highlights in his contribution) the treatment of objects and their properties as mere correlates of practical involvements, but, more specifically, the reduction of an object’s essence to instrumentality – ‘its function as a means for the accomplishment of my projects’ (p. 191). The pragmatic attitude is seen as particularly problematic for the philosopher ‘who seeks simply to understand’ (p. 194) as it results in a performative contradiction. Conversely, the theoretical attitude deals with the ‘objectivity’ of phenomena ‘in terms of the evidence we have for what we believe about them’ (p. 195), evidence that can transcend our means-ends understanding of objects. Mensch goes on to explain the relationships between the respective ontological commitments that arise from the pragmatic attitude and the theoretical attitude in terms of the concept of freedom. Following Heidegger, Mensch recognises that there are many possibilities for the intelligibility of objects and their properties, and it is up to the philosopher to choose which possibility to actualise. In short, for Mensch, freedom is an ontological condition on the basis of which philosophers choose to adopt a theoretical attitude that suspends their pragmatic concerns in order to inquire into the ‘intrinsic sense’ of objects qua their objectivity. Furthermore, whereas the pragmatic attitude does not allow the object to ‘transcend the [pragmatic] conventions that govern our speaking’ (p. 199), the ‘intrinsic sense’ of an object does make room for such transcendence because (due to the fact that it is conceptually constituted and predicated upon intersubjective agreement) we can recognise the alterity of other objectivity claims that call my claims into question. Indeed, Mensch states that it is the alterity of the ‘Other’ that makes both philosophical freedom and a theoretical inquiry into the ‘intrinsic sense’ of things possible. Critics would likely argue that Mensch’s distinction between pragmatic attitudes and theoretical attitudes is altogether too simplistic, resulting in an argument that is explanatorily weak. Indeed, due to the reification of pragmatic and theoretical attitudes, it would be difficult to abstract any genuine pragmatic (let alone broader metaphilosophical) concerns without being charged of straw-man-building. For example, contemporary Anglo-American pragmatists would challenge the claim that the pragmatic attitude purely apprehends the essence of objects in terms of its instrumentality. For example, as Beinsteiner observes earlier in the volume, Rorty advocated both instrumental and world-disclosing dimensions of pragmatism. In addition, as already mentioned, Brandom is a pragmatist, one that, simultaneously, adopts a theoretical attitude in order to inquire into Mensch’s conception of the ‘intrinsic sense’ of objects. Brandom is clear that not only do the contents of our concepts lay claim to how the world is, the meaning of our concepts is derived from the reasoning practices and inferential processes of discursive practitioners in the space of giving and asking for reasons. Furthermore, Brandom is also aware that freedom plays a pivotal role in the realm of contestable objectivity-claims. He argues that judgment, in terms of committing oneself to deploying concepts and, simultaneously, taking responsibility for the integration of the objectivity-claims and their associated conceptual contents with others that serve as reasons for or against them, is a ‘positive freedom’ (Brandom 2009, 59). I do not have the space to expand further. Suffice it to say, however, that Brandom’s inferential semantics and normative pragmatics articulates a number (if not all) of the themes that Mensch attributes to the theoretical attitude. If Mensch’s characterisation of the pragmatic attitude is representative of a concrete approach in pragmatism, then perhaps one could claim that it only holds for layer-cake readings of Heidegger. Even then, however, the likes of Dreyfus and Okrent are careful to explain the fact that what Mensch apprehends as the theoretical attitude is dependent upon, and, ultimately, derives from, our shared, practical involvements in a world that is constituted by the activities of others, rather than something we can ‘choose’ to adopt completely outside of our practical copings and activities (a choice, based on Mensch’s account, without any causal repercussions and considerations and no rational constraint or motivation). Furthermore, whereas Mensch claims that the ontological condition of the ‘Other’ allows us to disclose a theoretical alternative to the pragmatically-apprehended world, the Dreyfusian tradition is well aware that we, as a skilful and absorbed copers, are ‘being-with’ [Mitsein], in the sense that when we encounter something as both meaningful and as what it is, it discloses to us those ‘others’ that also find the same thing meaningful in the same ways. To stress the importance of the ‘Other’ for the conditions of the theoretical attitude in particular, as Mensch does, is to severely misinterpret or (worse still) ignore the concept of the ‘Other’ in layer-cake pragmatism. This begs the question that if what Mensch defines as the pragmatic attitude does not successfully capture the complexities that surround layer-cake approaches to pragmatism, let alone contemporary pragmatism in general, then why should pragmatically-oriented philosophers take Mensch seriously? Furthermore, why should they care? Perhaps one could argue that Mensch’s chapter is a lesson in what can happen when not enough attention is paid by phenomenologists to developments in pragmatism, just as this volume as a whole discloses the problems that arise from pragmatic interpretations of the history of phenomenology. Does the volume as a whole succeed in meeting its aims? If the aim of the volume is to offer a ‘complex analysis of the pragmatic theses that are present in the works of leading phenomenological authors’, then (despite the proclivity for Heidegger at the expense of other central figures from phenomenological tradition, including those that are still alive and still researching), I would say ‘yes’. 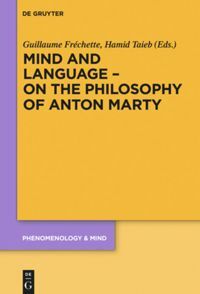 However, as the volume is oriented towards the relationship between pragmatism and phenomenology through interpretations of canonical works in the history of Western philosophy, there is very little meaningful discussion of the theoretical implications of the dialogue for either current phenomenologically-oriented philosophical research or the pragmatic dimensions of contemporary metaphysics, philosophy of language, philosophy of science and ethics. In this sense, the title of the volume is misleading and perhaps should be taken as ‘pragmatic perspectives in the history of phenomenology’. Nevertheless, there are some excellent papers here that not only articulate the pragmatic turn in the history of phenomenology, but offer much-needed insight into the problems associated with long-standing pragmatic interpretations of the works of Heidegger, Merleau-Ponty and Husserl. Brandom, R. (2000) ‘Facts, Norms and Normative Facts: A Reply to Habermas’, European Journal of Philosophy 8 (3): 356-74. 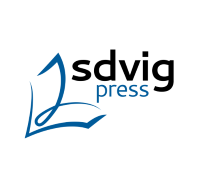 Braver, L. (2014) Heidegger, Cambridge: Polity Press. Crowell, S. (2013) Normativity and Phenomenology in Husserl and Heidegger, Cambridge: Cambridge University Press. Heidegger, M. (1977) Gesamtausgabe, GA 2: Sein und Zeit, ed. F. von Herrmann, Frankfurt am Main: Vittorio Klostermann. Price, H. (2013) Expressivism, Pragmatism and Representationalism, Cambridge: Cambridge University Press. Rorty, R. (1991) Objectivity, Relativism, and Truth: Philosophical Papers, Volume 1, Cambridge: Cambridge University Press. Sachs also addresses the concept of attunement when he argues that affordances and solicitations (traditionally distinctive of embodied coping) should also be contextualised within the space of reasons. We may tell the story of the phenomenology of time in many ways, each of them evoking (and constructing) a slightly different meaning of temporality. The story’s plot does not merely depend on the style of a storyteller and historical figures he decides to cover. It is also important what we are having in mind when we talk about time. Michael Kelly’s story in Phenomenology and the Problem of Time is about a series of radicalizations of Husserl’s transcendental theory of time, those of Heidegger, Merleau-Ponty, and Derrida. The story is based on the plot of rise and fall. It all begins with Husserl, who radicalizes himself, and is later radicalized by Heidegger who missed his teacher’s own radicalization. Soon afterwards, Heidegger overcomes not only Husserl but also himself. Similarly, Merleau-Ponty and Derrida do. They all overcome phenomenology. While the tension increases with the initial progress, it is released with the ultimate “regress”. Since the question of time is posited, and rightly so, as the most important question of phenomenology, the dissolution of time-constituting consciousness becomes the demise of the whole of the phenomenological enterprise. Kelly’s initial point is that Husserl’s inheritors were not charitable enough in interpreting his account of time-consciousness so that a defense of Husserl is due. Heidegger’s perspective is that Husserl’s phenomenological reduction binds him to the modern subjective idealist sense of immanence, which reduces being to a construction of consciousness. It is only him, Heidegger, who finally liberates it (a view analogical to Husserl’s critique of Descartes and Kant). Heidegger’s criticism, however, is based on Logical Investigations (1900) and Ideas Pertaining to a Pure Phenomenology and to a Phenomenological Philosophy (1913). Kelly argues that the view of intentionality as presented in these works is immature. If we want to truly examine the related notions of intentionality, subjectivity and time, we must look upon Husserl’s mature theory of genuine phenomenological immanence, originally given in his 1907 lectures The Idea of Phenomenology. This overlooked theory of immanence equals a theory of time-consciousness that is far more nuanced than the subjective idealistic reduction of transcendence to immanence, and certainly not simply synonymous of consciousness. Many critics failed to appreciate the difference between the two notions of immanence in Husserl. But these two notions (and not just one that was misunderstood) exist. In the thought experiment of annihilation of the world, Husserl himself partly presented himself as a subjective idealist who suggests that consciousness may exist independently of the material world. Naturally, a phenomenological reduction only brackets a naïve engagement with the world and does not cut consciousness off the world. Nevertheless, there are certain “imperfections of immanence” in Husserl, to use Kelly’s catchy phrase, which Heidegger correctly points out. When intentionality functions as a bridge between the two realms of subject and object, Husserl still operates within a dualistic framework. Separating intentional acts from intentional contents creates a tension that prevents an exposition of their original unity. Such a notion of intentionality is not subjective idealist per se since a turn to lived experience has been already made, but it keeps attached to the ontological distinction between consciousness and its object. In the ordinary or psychological conception of immanence, consciousness appears as a box of representations and, hence, yet another object. In Husserl’s early conception, on the other hand, immanence is given as a stream of consciousness and not as an object. It is real immanence. This stream of consciousness or the truly immanent is not intended. What is intended is an object transcendent to this stream. Intended objects (which exist extra-mentally) are perceived but not experienced or “lived through” (in the sense of the German Erlebnis and not Erfahrung). Acts, on the other hand, are experienced but not perceived. Kelly argues that this view is still haunted by the modern dualism since lived experience is divorced from intended objects situated outside of the stream of consciousness. The move away from objectified consciousness towards real immanence does not yet reach genuine phenomenological immanence. In On the Phenomenology of the Consciousness of Internal Time (1893-1917) and in The Idea of Phenomenology (1907), Husserl abandons the still dualistic model from Logical Investigations and presents his new theory of intentionality. According to Kelly, immanence now becomes genuine and presents pure phenomena – being, appearances and their self-giveness at the same time. In this mode of intentionality we encounter transcendence in immanence. “Unlike psychological immanence, which the epoché puts out of play, and unlike reell immanence, which remained tied purely to the act of knowing without contact with the irreell or transcendence, genuine phenomenological immanence denotes the ‘absolute and clear’ giveness of whatever appears, intentions and intendeds, as it were” (53). Husserl thus discovers a difference between objectifying intentionality of acts and non-objectifying intentionality of absolute consciousness. The latter is understood not as a bridge between subject and object, neither of which is reducible to the other, but as a phenomenon preceding this distinction. The self is given through and across different acts and objects in terms of pre-reflective self-awareness immediately accompanying all of our experiences. 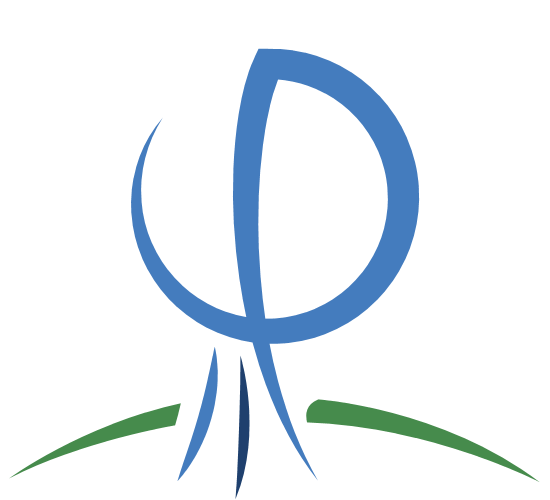 In defending the concept of minimal or immediate self-awareness, Kelly to a great extent follows Dan Zahavi’s interpretation from his Self-Awareness and Alterity (1999). Such a tacit and non-objectifying awareness is finally different from Cartesian and Kantian objectifying intentionality of acts. Kant, surely, was one of the great predecessors of Husserl, as Kelly is the first to admit. The inner intuition of time from the First Critique foreshadows phenomenological non-epistemic mode of intentionality. It is because time as an a priori feature of consciousness precedes the intentionality of acts. Through the consciousness of time, the subject intuits itself, even if it cannot see itself. Upon Heidegger’s reading at least (from his Kant and the Problem of Metaphysics), pure (transcendental) syntheses of apprehension, reproduction and recognition extend consciousness beyond the present. On the other hand, Kant never escaped the atemporal view of the subject and the concept of time as a series of atomistic impressions. The transcendental unity of apperception provides the “I” that thinks and is not an object while remaining atemporally identical. Kelly argues that, ultimately, Kant presented a transcendental version of psychological immanence, in which there is transcendental time-constituting consciousness and psychological time of the flux of appearances. If we want to move away from the psychological model of the self and the dualistic model of intentionality towards absolute consciousness, we must not only step beyond the transcendent time but also abandon the psychological notion of subjective time as a quantity (studied by the cognitive sciences and experimental psychology). That is, we must look upon a “third” and basic level, which in Kelly’s book goes under many names. It is genuine phenomenological immanence, but also consciousness of internal time, living-present in the non-objective sense, non-objectifying intentionality, non-temporal temporalizing, etc. Such a consciousness is neither atemporal nor temporal in the sense of a sequence of moments (either of objectified clock time “nows” or the moments of a subjective flow). In lived experience, of course, the three levels – transcendental, subjective, and objective, if you like – exist in a unity. At least, such is the case of an ordinary experience in which everything goes smoothly and without major interruptions. “Consciousness reveals itself as a non-temporal temporalizing (or unfolding), that is, a time-constituting consciousness that makes possible the disclosure of temporal objects insofar as it makes possible the disclosure of the self’s temporality by accounting for our original sense of pastness in the retentional dimension of the living-present” (92). Within the psychological model of immanence haunted by the modern dualism of inner and outer, one cannot account for self-consciousness other than reflectively. The self represents itself to itself in the same way that it represents external objects. The problem of temporal experience illustrates well the difference between the non-dualistic and the dualistic accounts (the latter often practiced in modern scientific studies of time perception). Upon the dualistic account, non-temporal impressions are temporalized through time-constituting acts. The mind – or the brain, as many empirical scientists would say – thus creates time through its elementary modes of processing information. Husserl’s early theory departs from this conception but remains close. Apprehension of the experiential content as past, present or future takes place thanks to three temporal intentional rays. Each momentary phase of consciousness contains those three rays so that past, present, and future overlap in lived experience. It might thus seem that the consciousness of succession successfully replaces the succession of consciousness. But the perception of a temporal object is not really temporal here. It is atemporal and momentary. What the early theory gives us is merely a succession of consciousness of succession (or a sequence of impressions of a sequence) and not a consciousness of succession (or an impression of a sequence). It is, therefore, still burdened by the clock time account of the sequence of “nows”, even if each of these conscious “nows” has now a triple intentionality directed towards immediate past, present, and future. In order to be fully temporal and in each of its phases aware of its acts, consciousness must be construed as non-temporal in the ordinary sense. Upon the non-dualistic account, a living present “intends itself” without a need for a reflective – and, hence, spanning at least two different moments in time – mediation. In Husserl’s own language, the move to non-objectifying intentionality is marked by a shift in language from a primary memory, which is like an after-image of the past, to retention, which represents an implicit intentional relation between two phases of consciousness. Retention is not a re-presentation of the past in the present but a presentation of the past of consciousness. There is no ordinary temporal “distance” between the two moments. In other words, the difference between past and present does not yet come into the fore. Retention, primal impression, and protention are all inseparable moments of the living present and not pieces of a process. The whole process is passive, automatic and non-objectifying. In this way, consciousness is extended beyond the now before being temporal in the psychological sense (where the word “before” does not mean earlier in objective time). Such non-thematic time-consciousness grounds the objectifying intentionality of acts and of intended objects, including ordinary time perception. While the foundation is non-temporal in the sense of not being sequential, it is not atemporal in the sense of the Kantian subject. It is temporal because it is not “frozen” and it is atemporal because it is not a series. Consciousness persists outside of conventional (psychologically experienced) time, but since consciousness is time-consciousness it persists as a flow. Kelly’s depiction of genuine immanence as time-consciousness is compelling. There are, however, important questions concerning the actual varieties of the lived experience of temporalizing left out of his considerations. Many forms of bodily and conscious temporal engagements with the world do not require an explanatory recourse to some deeper, underlying levels of immanence and time-constituting consciousness. There are, however, some that may lead us to worry about the absolutization of absolute time-constituting consciousness. One example are the experiences of time of the self coming to a standstill (as often reported in depression), despite the fact that the acts and contents of psychological time are largely left intact. Would such a frozen self, clearly inhibited at a pre-reflective level, equal a cessation of a primordial temporalization? It seems unlikely given that this temporal experience is still pre-reflectively self-aware and that objectifying intentionality (dependent upon genuine immanence) operates at least to some extent. The detachment of the self from the temporal flow (a self in a standstill) does not preclude the possibility of objectifying time-consciousness. On the other hand, some schizophrenic experiences seem to affect the deepest core of time-consciousness. According to the so-called ipseity theory of self-disorders, it happens when the tacit presence of the self is disrupted. Are we then talking about absolute or about “normal” time-constituting consciousness? The difference is far from being minute for an absolute consciousness should function in spite of any possible psychological disturbances. If we take genuine phenomenological immanence seriously, Heidegger’s radicalization of the Husserlian phenomenology in Being and Time (1927) appears as still depending on Husserl. Indeed, from the perspective of Heidegger’s later work the notion of Being-in-the-World may seem fairly subjectivist. Kelly contends that the actual radicalization of phenomenology takes place when in Kant and the Problem of Metaphysics (1929) the self is identified with time. Only then Heidegger liberates intentionality from consciousness – a process that Kelly calls the emergence of Spinozism in phenomenology. Already in 1929, Kelly argues, Heidegger sees Dasein as depending on “clearing” (which, by that time, goes under the notion of temporality). This marks the beginning of the fall of phenomenology in Heidegger’s later work. The fall is due to the fact that time activates itself independently of experience and that the subject depends on time’s affection of itself. Dasein as a finite mode of givenness is thus grounded in an infinite, absolute mode. Throughout the book, Kelly calls this step of radicalization the exchange of an “absolute time-constituting consciousness” for an “absolute-time constituting consciousness” – a move that gives time an autonomous ontological existence. Kelly’s rightful worry is that it implies a potential backslide to metaphysics. Another concern is that it might entail a return to physicalism and a naturalist ontology of time. Whatever the possible route, certainly phenomenology becomes an ontology. The notion of “phenomenological monism” grasps this process quite well. Kelly’s chapter on Heidegger is partly disappointing because it wholly evades the question of finitude. It is also hardly convincing that early “Heidegger’s account of Dasein’s temporality remains tied to the now despite the emphasis often put on time coming from the future” (113). The argument is that Dasein’s temporal ecstases are a functional equivalent to the tripartite structure of Husserl’s time-constituting consciousness, which is, of course, true, but does not justify the thesis. If Heidegger predicts and then carries out the end of phenomenology, Merleau-Ponty presents an epilogue to the fall. Merleau-Ponty’s view of the subject as the movement of transcendence evades early Husserl’s (still partly idealist) account of the subject that is out of time (or contemporary with all times) and follows Heidegger’s lead from the latter’s Kant and the Problem of Metaphysics. Later on, Merleau-Ponty fully departs from Husserl and the philosophy of consciousness as such. The notion of operative intentionality in Phenomenology of Perception (1945) is still Husserlian in spirit. In The Visible and the Invisible (1959-61) a new thought appears, namely, that time constitutes consciousness and not the other way around. In Kelly’s narrative, again, it means bringing in an ontological view of time, which he calls mythical immanence. As far as operative intentionality is concerned, consciousness is not a quasi-eternal subject transparent to itself, but a process. The self relates to itself by transcending itself. Its essence is transcendence. The shift from such an existential reading of consciousness in The Visible and the Invisible is radical. Analogically to Heidegger’s hypothesis that time constitutes itself, Merleau-Ponty observes that Husserl’s subject was not fully temporal. In Merleau-Ponty’s own formulation of latent intentionality, which is more basic than pre-reflective self-awareness, all consciousness is constituted by time. There is no privilege of the present nor of the past, because they are simultaneous. The past, therefore, must not be derived from the present, it must not have been present before it became past. “Perhaps his [Merleau-Ponty’s] thought follows the internal logic of phenomenology? Perhaps it is the realization of ‘the end of phenomenology’ or the working out of its historical destiny?” (171). Kelly’s question is, hopefully, a rhetorical one. The very idea of phenomenology is quite far from any logic of historical development. Even if a story is a property of life, life is more than just a single story, and, certainly, not a story that has its end organically prescribed in the beginning. However, several of Kelly’s claims suggest he would support such a view. Time is “the germ of phenomenology that either consumes it from within or blooms into phenomenological theology. In the case of the former, phenomenology’s quest for certainty is unrealizable. In the case of the latter, we might find an unexpected apodicticity of absence” (177). Fortunately, a hermeneutic turn easily saves phenomenology from the dilemma. We know that certainty is unrealizable precisely because we are temporal and interpreting creatures. Life cannot be fully completed but it does not mean that the self must be lost to time. A theology or a philosophy of history is needed only if we can’t dwell in the precariousness of human existence. The question is, rather, to what extent we must abandon the idea of existential becoming to account for the shift from operative to latent intentionality. An analogical inevitability allegedly stems from Derrida’s narrative in Speech and Phenomena (1967). According to Derrida, Husserl’s idea of a self-given subject is an example of the metaphysics of presence. Husserl privileges expression over indication by distinguishing the former through its proximity to present (at the very moment) intentional consciousness. In an expression, the signifier and the signified are one, and the voice silently hears itself speaking. Consciousness is transparent. At stake in retaining such a fully transparent meaning of one’s own expression to oneself, without a mediation of a reflective gap, is the presence of self-presence. Derrida criticizes the privilege of the voice that is supposed to provide this indubitable meaning. Every present moment is contaminated by the movement of temporalization that contradicts pure self-presence of consciousness. Implicit in Husserl’s account is that in order to retain the notion of absolute consciousness, we must speak what we are unable to speak. In this sense, mythic immanence is already contained in Husserl’s view of time-consciousness. The movement of temporalization infects consciousness in a way that it is never pure so that Husserl’s project undermines itself. Kelly demonstrates how Derrida’s disapproval of the privileging of consciousness follows Heidegger’s insights on absolute-time constituting consciousness. Simultaneously, taking advantage of Brough, de Warren, and Zahavi, among others, he takes a position against Derrida claiming that he missed the development of Husserl’s thought, and specifically the latter’s abandonment of the scheme-apprehension model of intentionality. At the same time, Kelly thinks that Derrida is right in asserting that an apodictically given absence stems from Husserl’s account of time-consciousness. Kelly’s position is not clear. It doesn’t seem, as Kelly tries to argue, that Derrida confuses retention with primary memory’s recollection or that he perceives primal impression as a discreet instant of time and thus overlooks Husserl’s insights on genuine immanence. Derrida’s argument would hold well in the case of properly temporalized consciousness. Even if we accept the notion of pre-reflective self-awareness, the movement of temporalization within the living presence makes a full transparency of the self to itself impossible. The self being temporal is constantly undermined by itself and therefore itself only so far as different from itself – simply through unfolding in time and not necessarily through reflecting upon itself. Hence, the movement of temporalization is what, as Derrida postulates, produces the transcendental subject, and not something that is produced by it. This movement is more primordial than consciousness. It is true that by introducing language, Derrida “places the chip of deconstruction under the skin of phenomenology” (196). But must it all end with a phenomenological theology? Upon Kelly’s reading, the inner logic of time-consciousness grounds it in the “ultratranscendental” concept of life. Since the ultratranscendental is ontologically primordial and unnamable, there can be no pure presence. The present is itself by becoming the past. What is presently absent – and not just a retention that is literally “retained” in consciousness and, therefore, still present – is the origin of what is present. The movement of temporalization itself constitutes all presence. Again, even if the ultratranscendental life destroys ahistorical certitude, must it fully destroy phenomenology? While Kelly proves to be an expert reader of the phenomenological tradition, his own stance vis-à-vis the discussed thinkers is not always unambiguous. If Heidegger, Merleau-Ponty and Derrida have partly misread Husserl’s conception of time, was the nutshell of their radicalizations already contained within his philosophical enterprise? And if so, did they just go too far with their “transcendentalizing” of phenomenology or was it an inevitable interpretative development stemming from the “things themselves”? Was the ultimate overcoming of phenomenology a regress? At times, Kelly does not take sides. At times, he seems to argue against the critics and hold to Husserl’s original position from his unpublished writings, as if it could save phenomenology from its alleged internal decomposition. It must be remembered, however, that academic phenomenology, historically speaking, did not simply decompose or develop into becoming more distant and esoteric. The return of applied phenomenology within the natural sciences during the last decades proves quite otherwise, not to mention many less transcendental paths phenomenology went through in the last century. Remaining within Kelly’s scope, it is perhaps right to say that if later phenomenologists have dwelled upon Husserl’s mature thinking on temporality, consciousness understood as self-presence would have been saved without the need to retreat to mysticism. Whether this retreat leads to some sort of Spinozism, as the author suggests, or something else, the consequences for academic philosophy are grim. A few words about the shortcomings of the book are due at the end. For an unprepared reader, it is quite technical and difficult to follow. Scarce examples certainly don’t make it engaging. The justification of the claim that the story of phenomenology in the second and third generations is a series of misunderstandings of Husserl’s conception of time-consciousness, if we take this claim literally, is quite weak. Unfortunately, Kelly does not discuss the problems of historicity and finitude, even if the question of time begs for it. The book is also full of repetitions and lacks lightness. Kelly’s insightful work would not have lost its substance by being a half shorter. At the moment, it is an example of a dense academic, if not scholastic writing – an almost proverbial list of footnotes to Husserl. 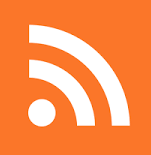 It must be also noted that secondary sources are limited to the English language only. Quite regrettably, the concept of time is restricted to its transcendental phenomenological notion. There is neither discussion nor mention of the varieties of pre-reflectively and reflectively lived temporalities – layers, modes, structures, and modalities of temporal experience, about which phenomenology has had so much to say. As a result, the view of the phenomenology of time presented in this book, despite its indisputable depth, is not comprehensive.